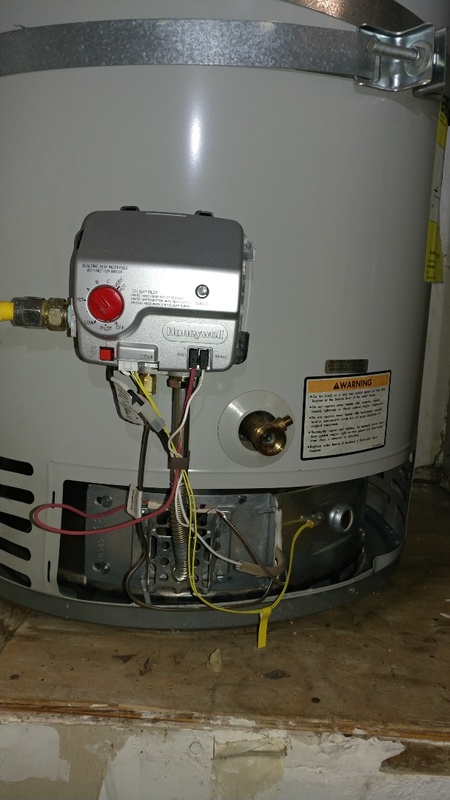 Do you suspect your water heater is leaking? Let the experienced and trained professionals from Jeffrey Gray Plumbing have a look. 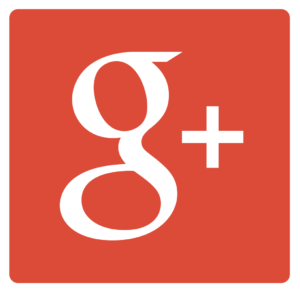 Give us a call at (707) 646-1356 and schedule an immediate appointment. Save even more on your next service when you use our exclusive online specials and coupons. 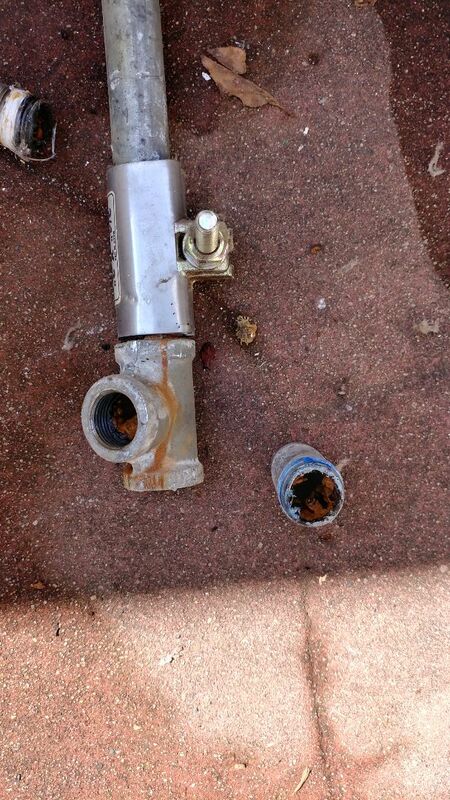 A plumbing complication is the last thing any homeowner wants to face. As unfortunate as it may be, plumbing issues will arise from time to time. 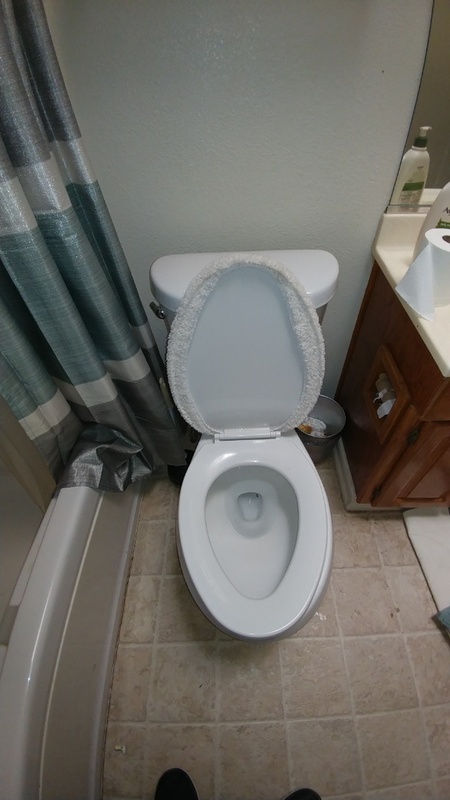 However, you can be prepared to tackle those problems by having a reliable, trustworthy plumber on hand conveniently located in Vacaville, CA. 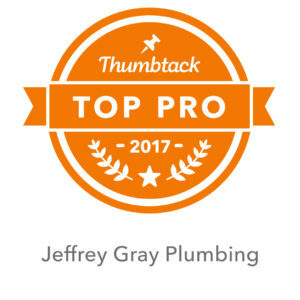 At Jeffrey Gray Plumbing, we have a team of highly experienced, professional plumbers that are trained and licensed to assist you with plumbing, water heater, and drain cleaning services. No matter the time of day or the scope of your problem, Jeffrey Gray Plumbing has you covered! 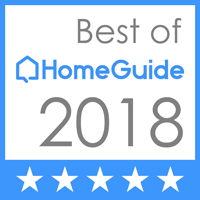 Read our reviews and see why area residents love to use our services. What Are Signs Your Home Needs Professional Drain Cleaning? It is recommended that every homeowner invest in professional drain cleaning at least once a year. 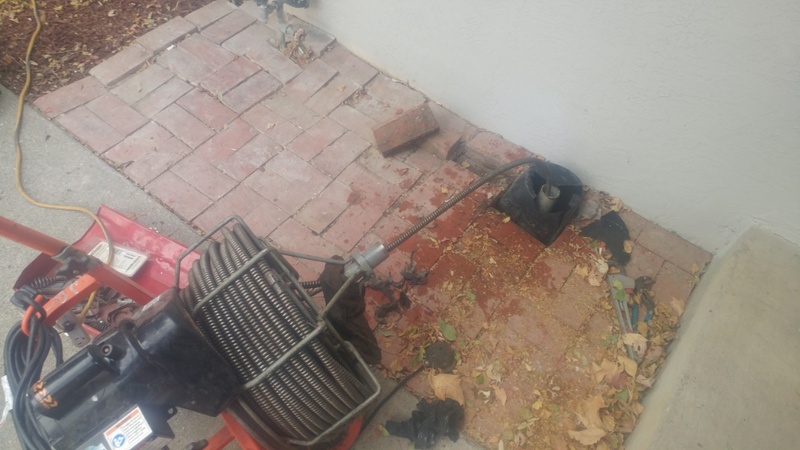 But if you’re experiencing the following signs, call us right away as a drain cleaning is necessary for the functionality of your drainage system. Slow and noisy drains. When emptying sinks or bathtubs, it should drain quickly without making gurgling noises. Bathtubs and sinks that take a long time to drain are likely clogged with debris such as hair or grease. Debris float up into the sink or bathtub. This will leave a ring of dirty scum in the fixture and is a sign of a clog that needs to be professionally cleaned. Foul odor from the drain opening. This is due to spoiled food caught in the water pipes behind walls and under fixtures. 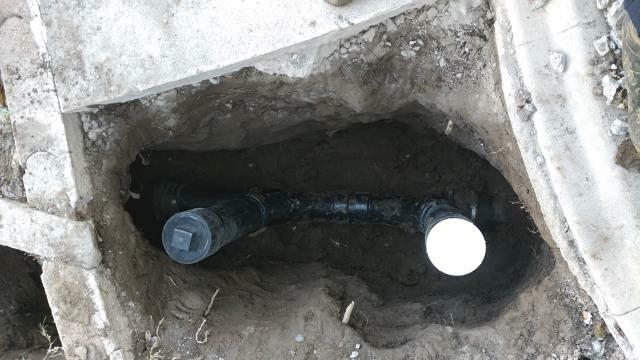 A building’s drainage system extends outside under lawns before the water and debris enters a public sewer line. It could be possible your drains are leaking under the ground. 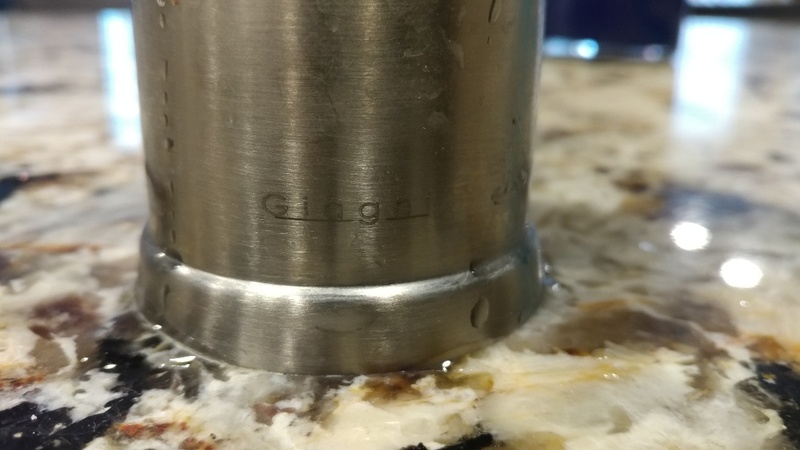 Water heaters in commercial and residential properties normally last between 10 to 15 years with an occasional repair to its pipes, valves, or thermostat. We suggest that our customers inspect a building’s water heater about once a month for leaks. A leak should be repaired immediately before it progresses and causes damage. If your heater does not produce hot water, older than 15 years, and needs frequent repairs, a replacement will be necessary. There are no newer, energy-efficient units that can provide effective service while keeping utility bills at a minimal. A new unit is also a smarter economic investment than paying to continue to repair an aged heater that will eventually reach the end of its lifespan. 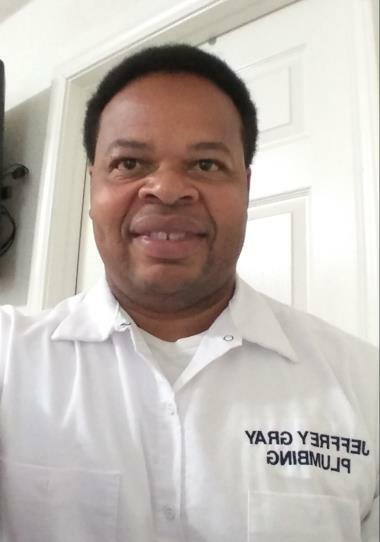 Jefferey Grey was professional throughout his service, replacing my sump pump. 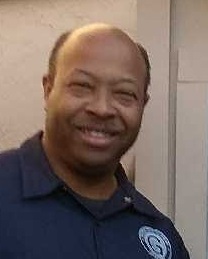 I appreciate his knowledge, and scope of detail to resolve the problem. His use of technology to organize his system is pro! He is hired! These guys were awesome. Fixed our problem fast and were very friendly. Did a great job, service was awesome land didn't over charge the job. Will pass his name to people needing to use his service. prompt response, honest, informative, professional, competitive price. 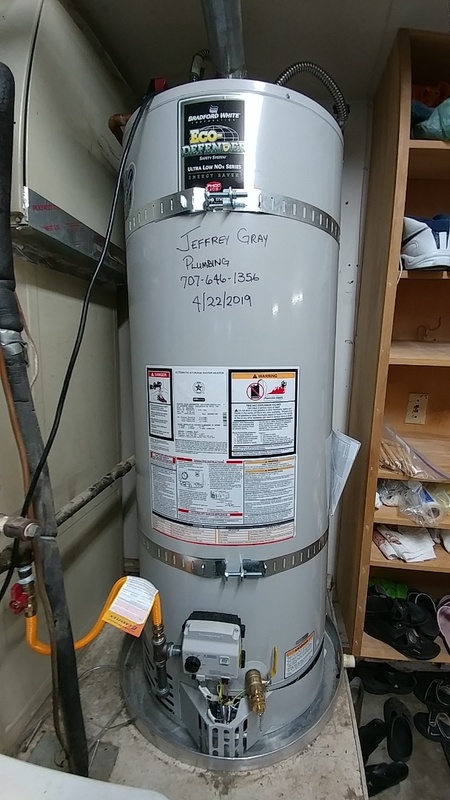 Installed new 50 gallon water heater. Just serviced a water heater. Installed a clean out and fixed a hole in sewer line made of orangeburg. 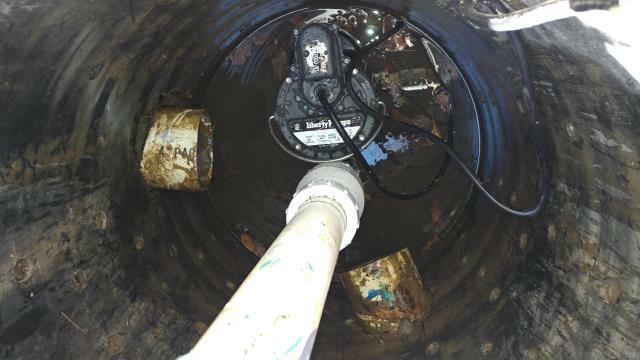 Installed new submersible pump for drainage. Toilet was clogged. Auger toilet cleared. Test it with toilet paper. Good flush restored. 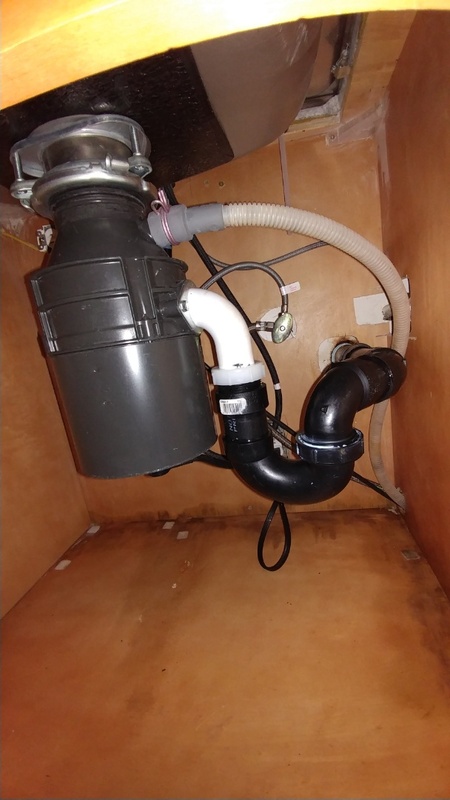 Repaired broken waste arm under kitchen sink. Moved gas line in wall for kitchen remodel. Just unclogged a main line sewer drain. 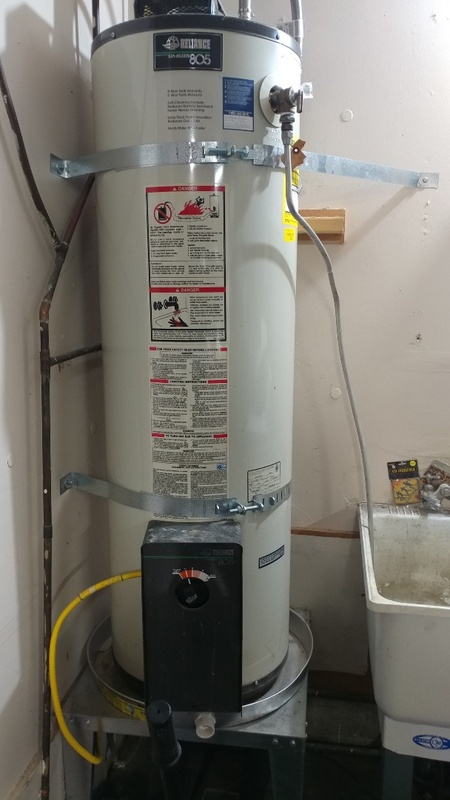 Installed new gas control valve and thermo-pile on water heater. 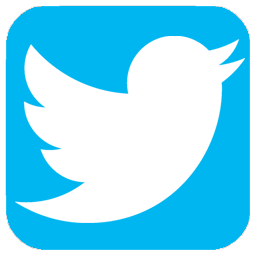 Have questions about your plumbing? We will be glad to be of help! 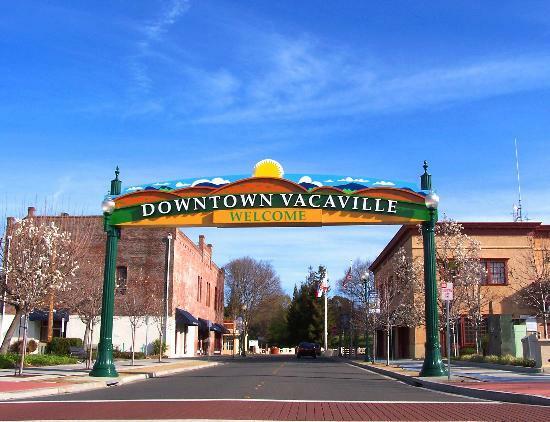 Call us anytime at (707) 646-1356 for prompt assistance in the Vacaville, CA area.